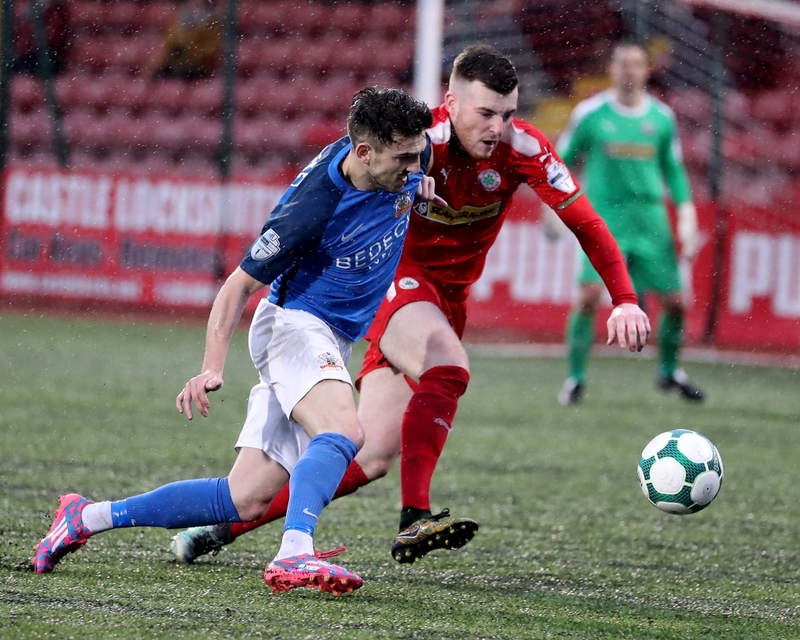 Glenavon put in a much improved performance at Solitude and were full-value for the point as they drew 1-1 with a Cliftonville side under the temporary charge of Michael Press for the first time. 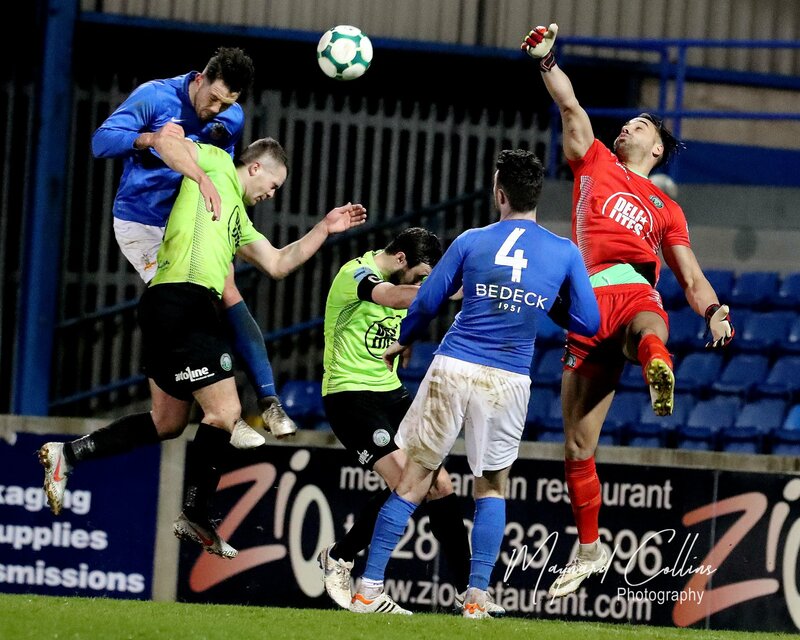 The Lurgan Blues dominated most of the second 45 after going behind in the 5th minute to the Reds first attack with Richard Brush pulling off some stunning saves for the hosts to keep them in it as Glenavon forced 13 corners. 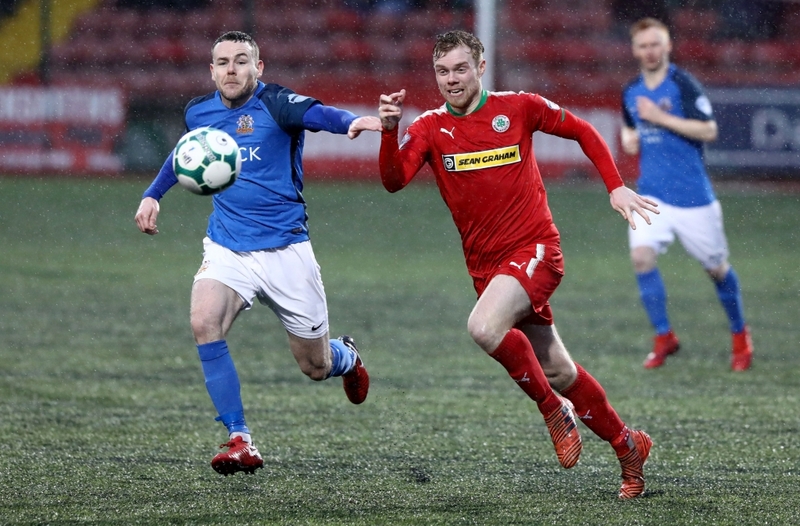 Glenavon kicked off at Solitude and got on the front foot straight away forcing an early corner but the hosts scored with their first attack. After Chris Curran’s cut-back from the bye line was miskicked by Joe Gormley, the ball spun to Rory Donnelly whose shot was well blocked by Seamus Sharkey. The rebound fell kindly to Ryan Curran and he steered to ball into the roof of the net despite the best efforts of Rhys Marshall on the line. 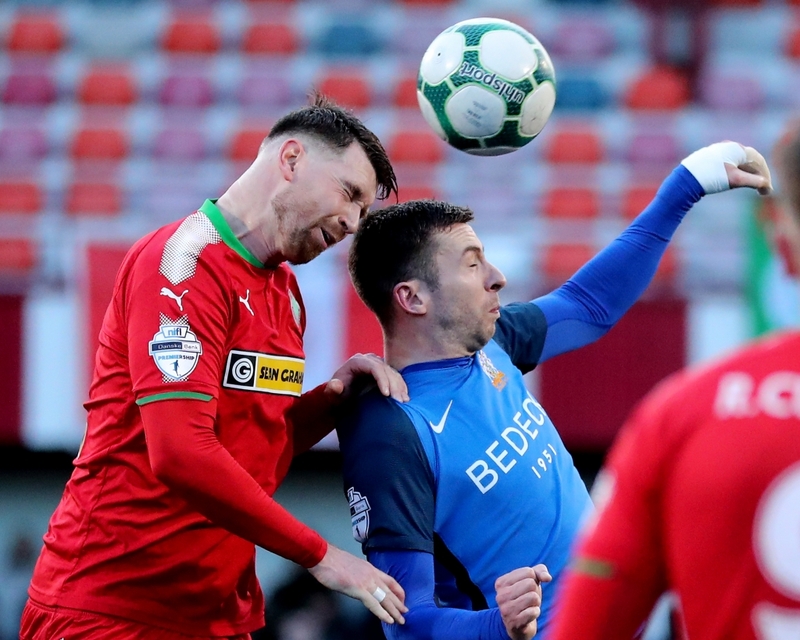 Cliftonville could have doubled their lead two minutes later when a long throw fell to Chris Curran but Tuffey got down well to save. 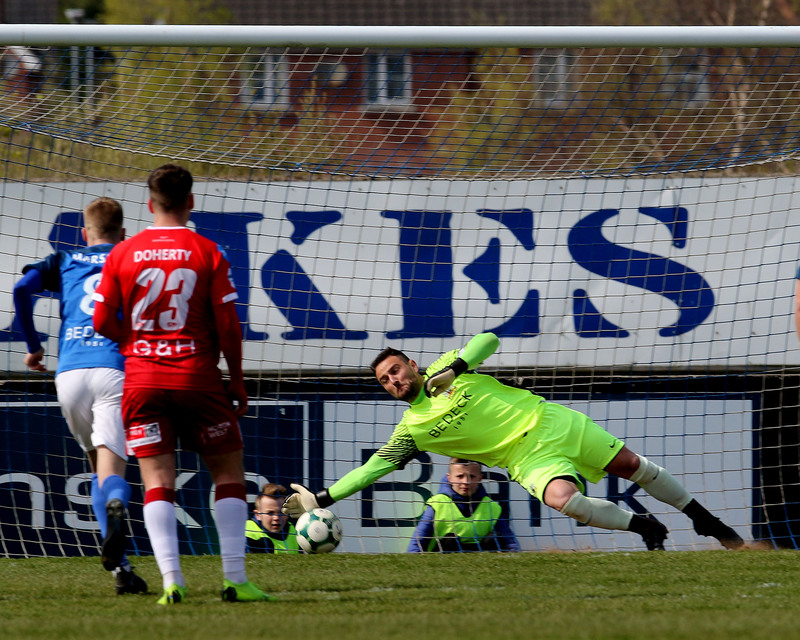 Conor McCloskey tricked his way into the Reds box and forced a double save from Richard Brush who parried his shot straight back to the Glenavon forward and he responded by directing a diving header back on target that the keeper managed to push away from danger before holding the return cross from Andy Hall. 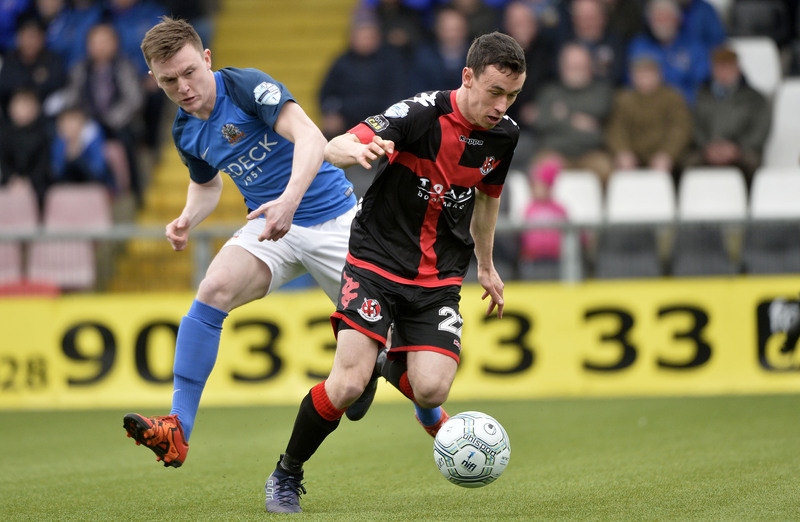 Murray and Daniels exchanged passes out on the left of the Reds penalty area with the Derry man slotting over a low cross to the near post that almost presented a shooting chance for James Singleton only for a defender to get a vital touch to clear the danger. McCloskey missed the best chance of the half when he skied over from 12 yards after breaking through the Reds defence. 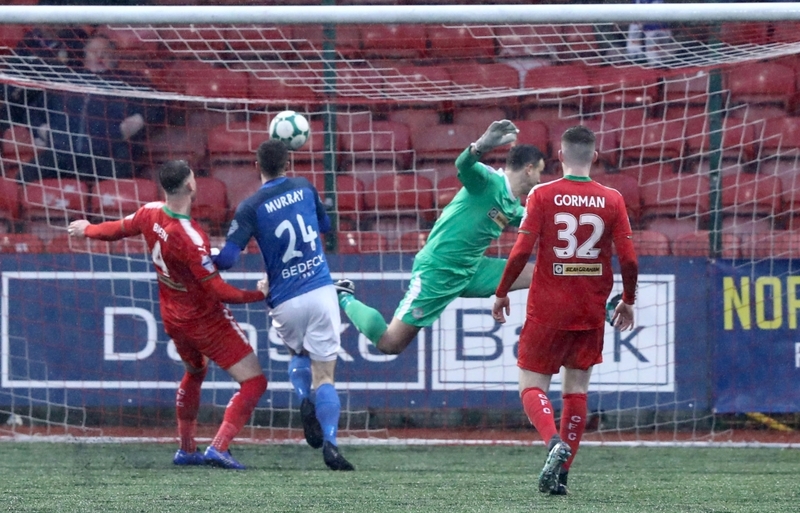 Josh Daniels also blasted high after the Reds keeper came out of his area to head clear, only as far as the Glenavon winger who probably had more time than he thought. 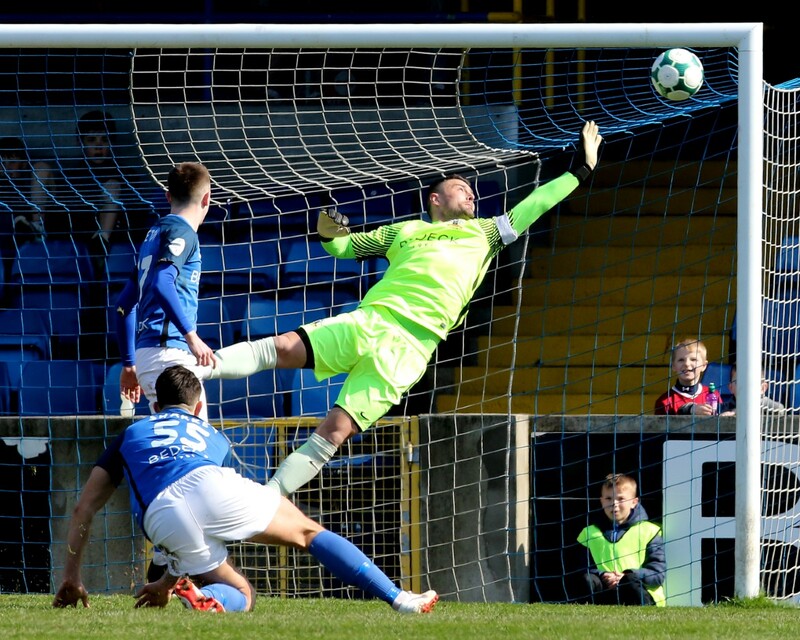 Between those Glenavon efforts Chris Curran hit the outside of the post with a low shot and in stoppage time the goal scorer Ryan Curran saw his shot turned around the post by Tuffey diving to his left. 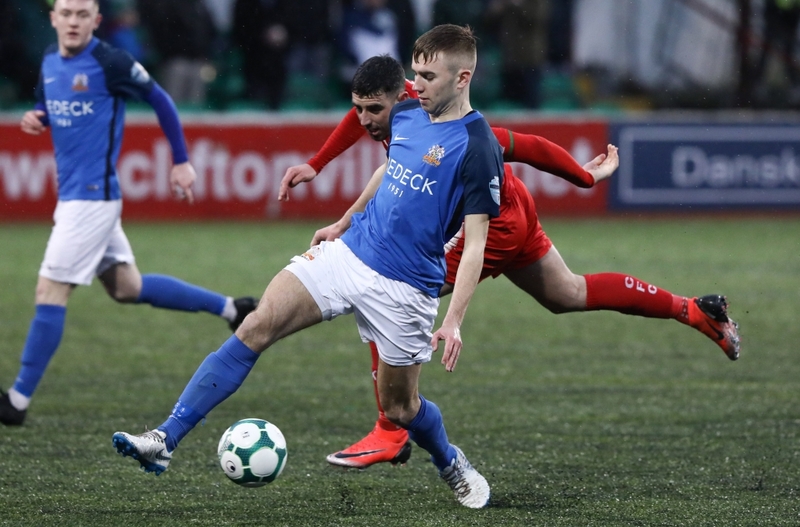 In the second half Tuffey was scarcely called into action, saving easily from a rising shot from Donnelly, as Glenavon pinned the hosts back and forced Brush into a number of saves including a superb touch round the post to deny Marshall. 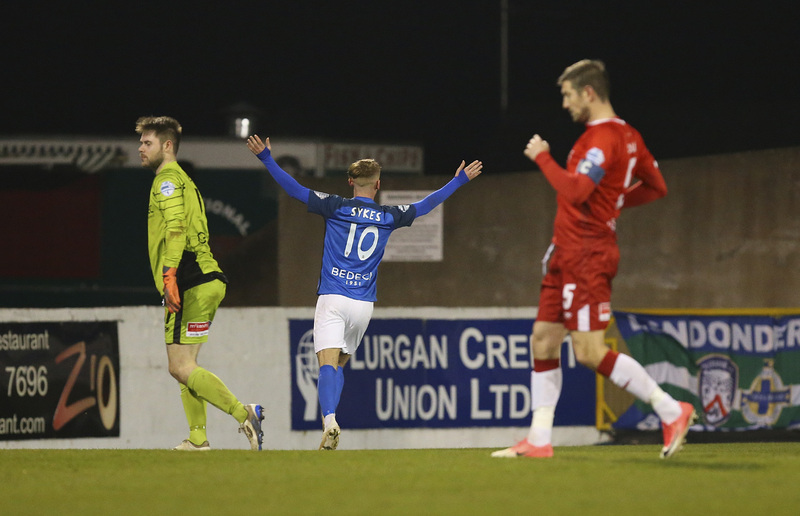 Stephen Murray got the equaliser Glenavon’s pressure deserved when, in the 54th minute, he got to Josh Daniel’s header into his path before Brush and steered the ball past the Reds keeper. Andy Hall hit the side netting and had an effort saved, Daniels had a header saved by Brush and almost repeated the assist for Murray in the final minute when he headed the ball on and the striker slotted it between the legs of the keeper but, as it rolled towards the goal line a defender got back to hack it clear. Gary Hamilton was very pleased with the performance and he’ll be looking for more of the same next Saturday as we host a resurgent Dungannon Swifts in the Tennent’s Irish Cup, kick off 3pm.